In today’s world, a healthy lifestyle has taken a back seat because of a poor diet. Nowadays, junk food and unhealthy food products are generally consumed by most of the people. But do you know there are several common food ingredients that you can consume daily to lead a healthy lifestyle? Yes, you heard it right and jeera is one of the food product that most of us use in our home cooked dishes and is very beneficial for health. Also, consuming jeera water gives similar benefits as consuming jeera seeds. And in this article, we have mentioned 8 amazing health benefits of jeera water that you should definitely know to lead a healthy life. Here have a look at the article! The deficiency of iron in the body can cause many problems like weakness, heart palpitations, shortness of breath, increased risk for infections etc and Jeera is naturally rich in iron and consuming 1 glass of jeera water can provide you with a good amount of iron that helps to increase the hemoglobin in your body. Promoting digestion is one the most common health benefit of jeera seeds that most of us are aware of but yet it is very important. 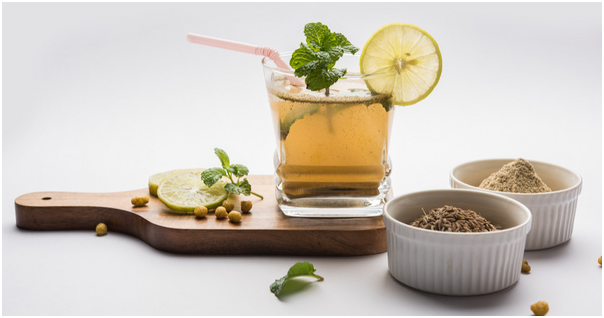 Jeera helps to increase the release of bile from the liver that helps to digest fats and nutrient in your gut. Also, it helps to reduce symptoms of irritable bowel syndrome as well. Jeera water is beneficial to improve blood cholesterol and consuming it twice a day decreases the unhealthy blood triglycerides. But consuming jeera in small amounts such as sprinkler on rice or in a vegetable may not give the similar benefit. 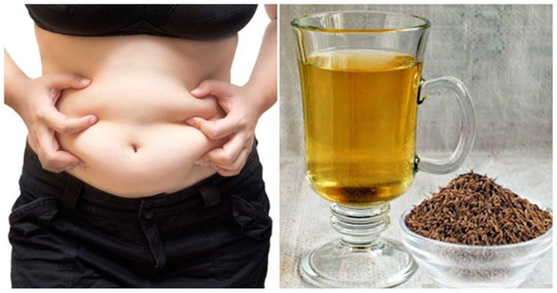 Weight gain is one of the most common issues that people face nowadays as junk food, poor lifestyle makes us lazy and unhealthy, but drinking jeera water is one the most beneficial and easiest ways to lose weight as jeera water increase the activity of digestive proteins and thus aids digestion. Also, jeera water reduces the symptoms of irritable bowel syndrome and increases the release of bile from the liver. Consuming jeera water helps to fight inflammation and helps to treat most of the inflammatory diseases in the body. Drinking jeera water daily has an amazing effect on the skin as it clears out the toxins from the body and also provides Vitamin A and E that makes the skin smoother and clearer. Also, it has antibacterial and anti-inflammatory properties that help to recover from various medical skin disorders. Jeera water contains nutrients like fats, carbohydrates and protein that helps to nourish the hair. Also, jeera seeds can be used in making homemade hair masks that help to get rid of dandruff and promotes a healthier scalp. Drug dependency is one of the most problematic issues that can happen to someone. But jeera water can help to decrease the drug dependency rate by reducing the addictive behavior and withdrawal system. So, these were the 8 amazing health benefits of jeera water. Eat healthily, stay healthy!